Note: I did not have time to ask everyone’s permission to publish these, so for the ones I didn’t reach, I just put initials. T.J. : Sunbow, Kelly told us about this page. We are fans!!! Thank you for everything you are doing for Momma Earth. My wife and I are fairly new to the Sasquatch community but we would love to be connected with you and to help in any way that we can! C.G.W. : I completed book two last night and starting book three today. Thank you for writing what our Elder Brother and Sister Sasquatch told you. It is 100% love. Susan Sweet : Thank You so much for posting the Bigfoot encounter. I was so pleased to see my video Of Paul Micheal Pearlman’s encounter on your page. I like your page (Literally) and would love to post more such stories here. Again. Thank You! E.W. : Thank you Sunbow for sharing my experience! I hope that helps others! I was reading the other accounts and they were very interesting! Lots of amazing experiences! Hope you have a beautiful day! T.G. : Hello Sunbow, I sent you an email and you responded back in the fall, thanks. I appreciate your getting back with me! I have been drawn to bigfoot/sasquatch for a long time for some reason. I will be ordering your first book soon. Thanks for you answers! I was looking to reading your books soon. Thanks for your research and work and dedication. Zu Zen : Hello Bow, me and Eric love your book. We keep rereading it. Hope to see you soon with discussions in detail… Oh wow, your life sounds so full. Thanks for writing those books. We want to buy the other 2 for sure. What a beautiful message… Last year at the Oregon rainbow, I could see clearly the Sasquatch in you. I got excited because I’ve always wanted to meet a Sasquatch. And now I read in your book that it’s in your lineage. Eric and I keep telling our friends about your book to people who are open. We talked about it at the Ontario rainbow around the fire last year. And this brother told us his story of seeing the Sasquatch in BC at Sasquatch park. Both he and his girlfriend saw this huge hairy being in a green energy appearance. Life is so amazing, full of wonderful mysteries being revealed… I’m happy that you found everything you need where you’re at. Loving you. L.L. : Thanks so much for taking the beads into the woods for the Sasquatch people. My mom was so delighted when she learned they were intelligent beings. They have come to her twice in a dream. Nice. Thanks again. My mom really love them and hopes one day to meet them…. me too. Hope to see you in 2019. T.O. : Hello, Thank you for your pages and work. I’ve had Sasquatch encounters since childhood. But didn’t fully realize until January 2018 when I researched something from summer 2017. N.P. 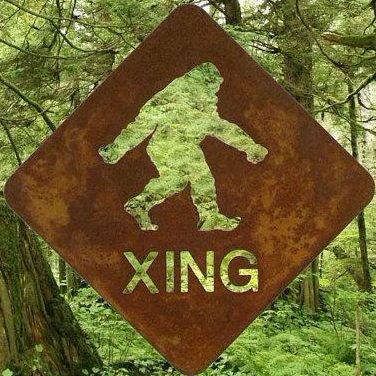 : I’ve had many experiences with Sasquatch during my time living on the Colville reserve and following. I’m very interested in hearing what you have learned from your experiences. Blessings. L.T. : Happy to be here! I live in Maine and have so much activity here on my property. M.J. : Felt kinship with these beings since I was a little girl. Want to uncover more. M.J.M. : Greetings from the deep woods of Algonquin Ontario. I just finished your first book and I must say right on par but then of course Yogi does not lie. I found your book to be a great addition to my library and say Miigwetch!! For taking the time to listen learn love and share !! We have ongoing contact and have for several years and as a child I was taught by my father about my origins. I am very glad to make your acquaintance and would really appreciate hearing back from you. I am not sure of a question per say and just wanted to reach out and thank you for sharing and caring and knowing the true I AM it is a great relief to know more and more in this third dimension we are gathering and with the polar shift shall rebalance our Mother for we are all a part of her and her us the sooner others realize the better. Blessed be sending all our love and light. Shahar S. : Dear Sunbow, my name is Shahar, I am a Biologist and live in Israel. I became interested in the bf phenomenon a few years ago. I have heard about you through contacting Kewaunee L. some time ago. I would like to have a talk with you and share my thoughts about the subject, and also get some advice from you on some issues I am dealing with in my research on the subject. I am reading your first book right now. If you have time to talk please let me know. All the best. K.G. : Hi SunBow, I had a quick question for you. So I might need to ask you more about this later… It’s a whole long story on how last year back in 2017 I came to realize that the Sasquatch phenomenon was a lot more than an undiscovered species of wild apes living in the forests of North America. It sent me down a path however, that lead me to both of Kewaunee’s books, as well as Arla Williams’ book plus Dr. Matthew Johnson’s take on it all. In short though, what I was hoping to learn this year was “what it took” to establish a means of communication with these forest people. Just west of here in Morley, AB (on the Stoney Nakoda reserve) my friend Justin has the ‘big people’ coming onto his family’s land and they seem to hang out around the house and go about their business as the snow melts. He said they had a visual sighting less than 2 weeks ago. I was hoping you could give me some insights on if this is even possible. When I make the trek out there I don’t take cameras, guns, or any other offensive items with me. I plan to go out next time by myself, and with permission of the landowner, smudge some sage and sweet grass, lay some tobacco on the earth, and engage in some Transcendental Meditation in a spot along a circular clearing just NE of the property where they’ve been seen. I’m not really sure what else I could do except put forward positive intention in my mind and ‘make myself available’. Let me know if you had any other feedback on this. C.C. : Hi, I love Sasquatch. I was one at one time. They showed me what I looked like as a Sasquatch. They also showed me people that I know now that were Sasquatch with me. They have showed up in streaks of light in photos and in my consciousness and also flew over in over 30 salmon colored disc shaped crafts. They come to me when I channel and when I am praying and meditating and going within many many times. They all look different and are all unique and different just like humans. So happy you keep going with your work. The Mission can not fail. It is too huge. Many will awaken to their true purpose which is to bring in the new paradigm of the new earth. We are all part of the awakening of our planet and humanity. Stay strong brother in unity, we will all accomplish what we set out to do here. We who have awakened to our higher purpose know that we are here for expansion and truth. Trust. That all is well and exactly as it should be. And let nothing stop you from being you. Turn within for guidance and strength. You are forever protected in the light of the all. Fear not those who say nay for they are still wrapped in the veil of forgetfulness. Peace my friend. And many blessings.